Yesterday, upstart teen- and tween-focused YouTube channel AwesomenessTV announced its $3.5 million in Series A financing with little fanfare. I was able to catch up with the channel’s founder and its lead investor to learn the real story of how this young network is actually poised to be the next Nickelodeon. 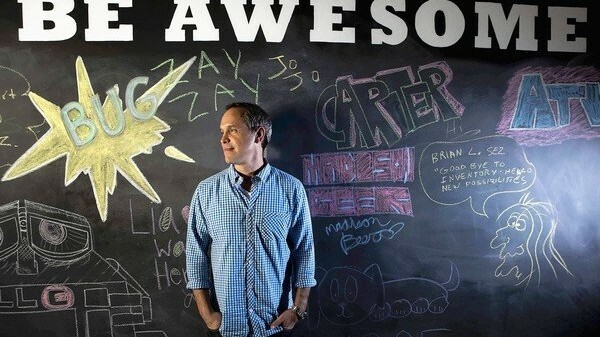 Although launching to the public only six weeks ago, AwesomenessTV is a project two years in the making which was galvanized by a $5 million grant through YouTube’s original content initiative. Founded by former Nickelodeon and WB producer/director Brian Robbins, the nascent video network has accumulated more than 12 million views and is approaching 90,000 subscribers in just a few weeks. Robbins is targeting a quarter million subscribers by year’s end and half million within 12 months -- at that point it will equivalent in scale to many cable networks. According to lead investor and board member Mark Terbeek of MK capital -- whom I’ve heard many in the industry refer to as the “online video tzar” -- the target audience is already on YouTube, meaning there’s no need to change their behavior. The demographic that grew up consuming content online and via mobile has, however, been in search of a source for professionally produced Web content that resonates with them. To date, they’ve been largely confined to user generated and other one-off content. Terbeek should know given his investments in Machinima, Movieclips, and several other online video juggernauts. Robbins is equally familiar with this audience and is fully capable of delivering well-received content, based on his track record of success producing "Smallville" and "One Tree Hill." The tween video network plans to deliver a combination of music, sketch comedy, reality TV, and scripted dramas in three to ten minute formats. Initial offerings include daily talk show “IMO,” aka “The View” for teen girls. Additionally, the aptly-named style makeover show “Make Me Over” will be a big driver audience engagement by rewarding one viewer per week with a total makeover. Other early pilots have included docu-series following musicians Mindless Behavior and Greyson Chance, as well as sports highlight show “That Was Awesome” featuring Blake Griffin. “This audience is slippery -- what they like changes every minute,” says Robbins. “[Given our low production costs and short formats], we have the flexibility to make quick decisions and act on them. We will produce a lot stuff. If we’re right, it’s great. If we’re wrong, it’s not a big deal.” He went on to explain that in the case of TV, networks put all their eggs into a few pilots and then even fewer number of shows. It’s much more expensive and there’s far less room for error. One of the big bets Robbins is making is on a scripted drama titled “The Runaways,” which will debut the first of a six episode season on Labor Day weekend. The show is expected to be in the vein of Robins’ previous WB hits and will have characters and storylines which teenaged viewers can invest in long term. Should the show catch on -- and there’s no reason to believe it wouldn’t, given the source -- AwesomenessTV will likely explore opportunities to license the content outside YouTube. Netflix and Hulu are natural candidates, but further development into a traditional TV show or movie are equally possible according to both Robbins and Terbeek. The key to the startup network’s monetization strategy is that it owns all of its own content, giving it an unusual degree of flexibility and a variety of options when compared to traditional networks. AwesomenessTV is one of 100 premium content channels that initially received investment through the $150 million YouTube initiative (the company has since announced a second round of $200 million in available financing). The grants are technically non-recourse, meaning that YouTube owns none of the company and there are no assets or collateral put up against the loan. The money is only repaid if the content succeeds. Grant recipients agree to publish content created with the funds exclusively on YouTube for a certain period of time and the video network collects 100 percent of the ad revenue generated until the loan is repaid in full. After that, traditional YouTube ad revenue splits apply and YouTube owns nothing. In the case of AwesomenessTV, Terbeek predicts that given reasonable growth forecasts, the network could likely repay its grant in its first year to year and a half. Among the other benefits of being a part of the YouTube initiative is increased marketing support -- the video platform committed an additional $150 million to marketing the premium content produced. AwesomenessTV is about to be the recipient of some of this love via a large promotional campaign created by award-winning ad agency Goodby Silverstein. Beyond its already powerful relationships with YouTube and MK Capital, AwesomenessTV is well positioned with a number of other friends in high places. The recent financing round consisted of minority investments from Greycroft Venture Partners, New World Ventures, former YouTube VP and global head of content and operations Dean Gilbert, United Talent Agency co-founder and CEO Jeremy Zimmer, Machinima chairman and CEO Allen DeBevoise, former LowerMyBills founder and president Matt Coffin, and MediaLink CEO Michael Kassan. The tween-centric YouTube network is launching at a time when network TV incumbent Nickelodeon is at its most precarious point in recent memory. The channel has seen ratings and viewership decline sharply since last fall amid a dearth of new programming, something its parent company Viacom is investing heavily to change. With the audience fleeing, so have been advertisers. AwesomenessTV has been a popular landing spot for both.